one of the longest timing belts ever used on a production automobile. problem, was added in MY 1985.
tube and visually inspect the belt at idle (MY 1986 and up only). 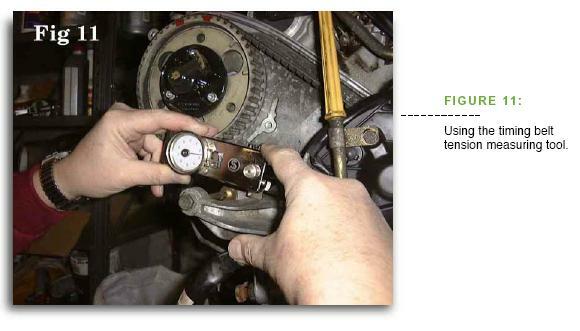 replace the timing belt without the manuals and special tool. avoid a flatbed charge and an expensive repair bill later. 15-128a for the new style. disconnect the battery ground strap. 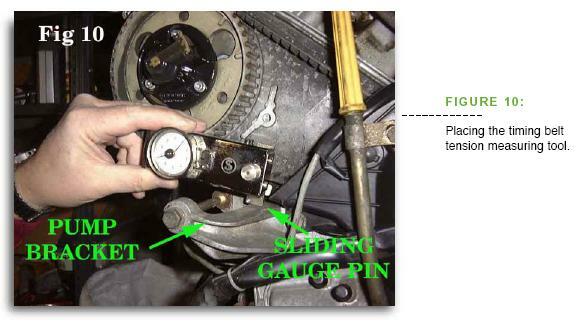 Keep track of the timing cover bolts, as they are not all the same. adjusting automatically for temperature, and hydraulically dampens belt vibrations and fluctuations. 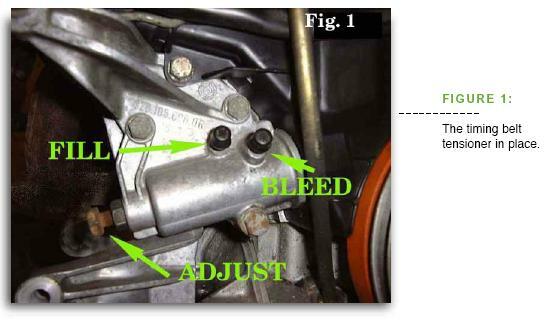 and bushings on the 32-valve unitsÑthis isn’t shown in the manual! little tricky. Gluing the gasket to the tensioner housing helps. 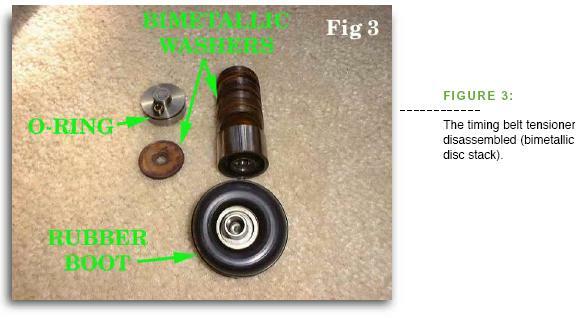 tensioner in this article are of the later type. that you can install the belt with the engine in the 45 degree position later. it loose. We have snapped 1/2" Craftsman pull handles, extensions, and adapters trying, but a 3/4"
needed to remove the pulleyÑjust pry gently and wriggle. 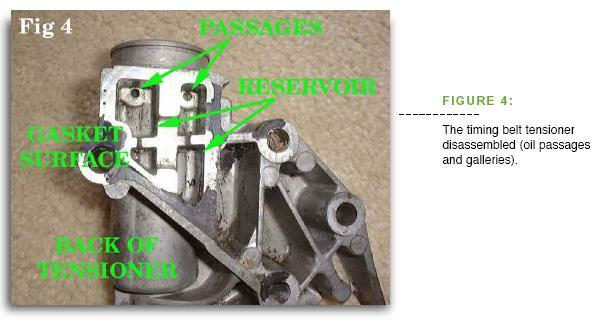 rebuild, and reinstall the tensioner housing as detailed earlier. 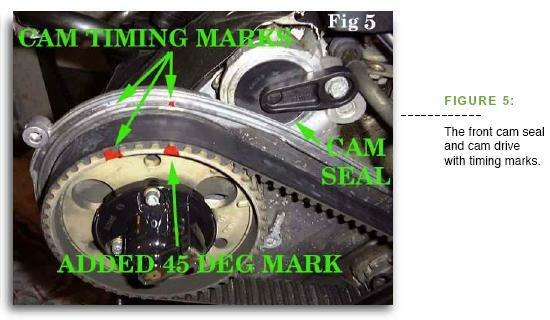 With the marks that you added (FIGURE 5), you can install the new timing belt at the 45 degree position. sprocket, and apply a spring clamp or clothespin to hold it in place. two turns, and check all timing marks. 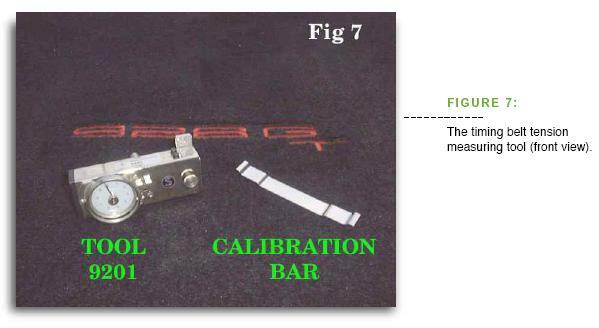 knurled calibration-adjusting wheel behind the dial (FIGURE 8). as this will seriously change the tension read! 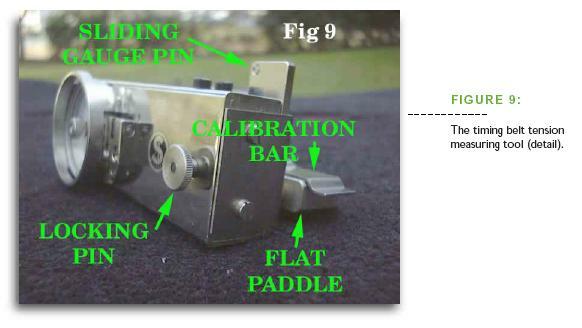 the end of the gauge never hits the lower belt cover, if it is installed. 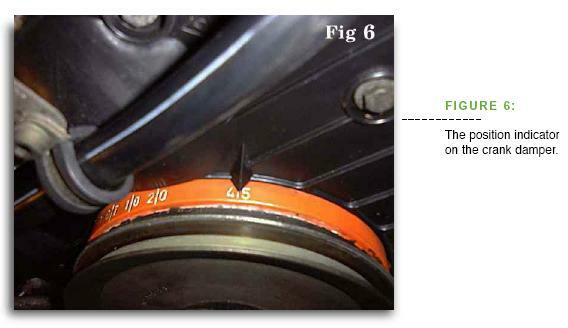 (FIGURE 8) parallel to the belt. 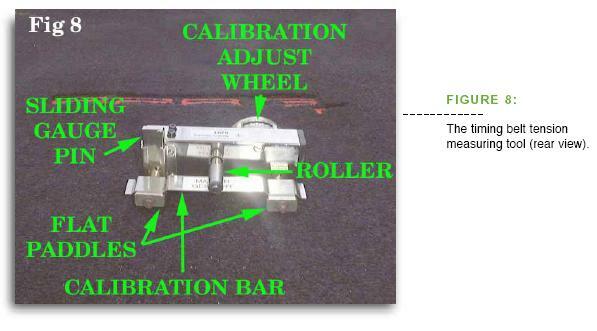 should be set to 4.5, while the 32-valve models should be set to 5.0 - 5.3.
make a noticeable difference in the tension. Check all timing marks one more time. than you would have thought). 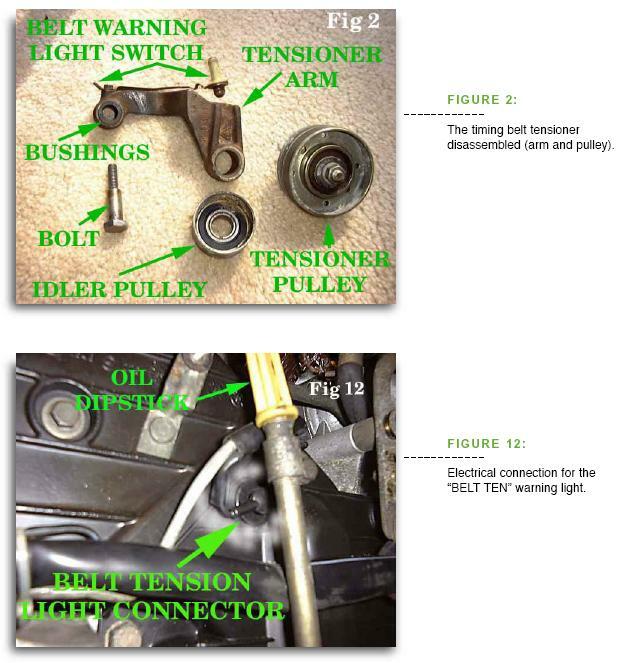 tensioner system. If the system is properly installed and maintained, it is a very reliable, durable system. cars. Wally especially enjoys exploring the more technical aspects of 928 maintenance.